Almonds are a source of vitamin E, copper, magnesium, and high quality protein. Almonds also contain high levels of healthy unsaturated fatty acids in addition to a lot of bioactive molecules (such as fiber, phytosterols, vitamins, other minerals, and antioxidants) which can help prevent cardiovascular heart diseases. Almonds are extremely high in Vitamin E. Vitamin E is a powerful antioxidant, this means that it protects our cells from damage, helping to maintain a healthy heart and blood vessels. Vitamin E also works best in foods that contain some good dietary fat, like almonds, to help its absorption. Almonds are also low in sugar and are a low GI food. Eating low GI foods provides sustained energy. 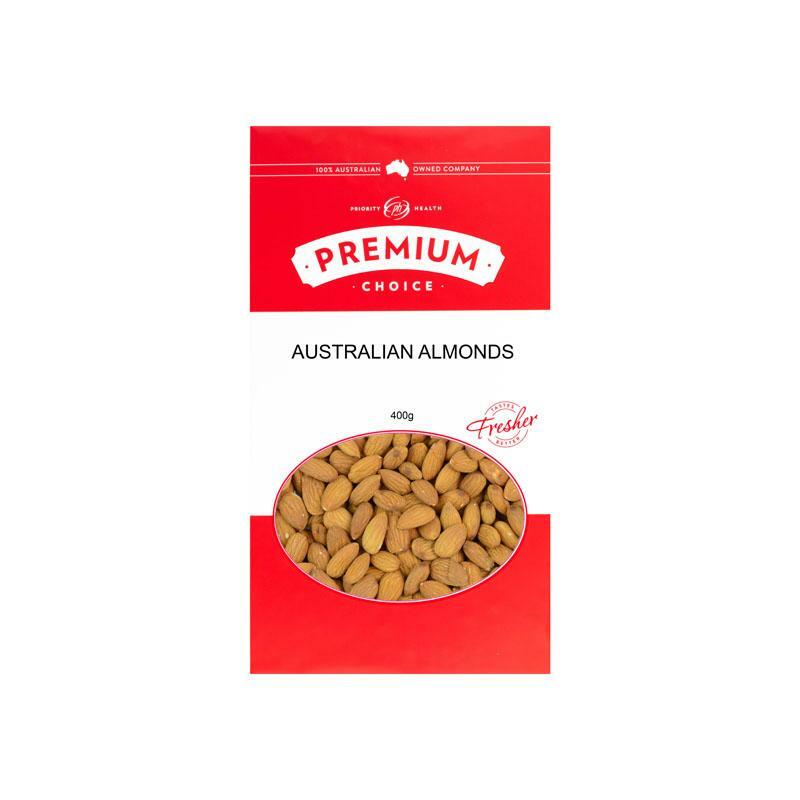 Almonds are also Gluten free.